Owning more paid search spots on search results can increase your clicks by 30–50 percent for each additional spot that you occupy. To get this type of monster click growth from paid search, tap on your affiliates, partners and resellers to make a paid search land grab. For example, if your CTR (click-through rate) alone is 2 percent, removing one competitor and replacing it with one affiliate with a CTR of 0.8 percent grows your additive CTR to 2.8 percent — a 40 percent gain! The learnings I am about to share come from years of working with search marketing clients through my position as CEO of The Search Monitor. One of the most effective ways to use your affiliates is to box out competitors on your brand and brand+ keywords. In this hack, you will grant a trusted list of affiliates with brand bidding rights. Typically, you will also restrict ranking so that your ads always appear on top. By utilizing affiliates to fill in competitive ad spots on your brand+ keywords, you effectively reduce the reach of your competition. This tactic works best if you are in a highly competitive space with three or more advertisers bidding on your brands. If you are already dominant — i.e., the only advertiser on your brand and brand+ keywords — then this tactic does not make sense for you. Your affiliates are granted limited rank rights so that you are always at the top. Your affiliates stay on message so that there are no conflicting offers showing. Below is an example of Verizon taking advantage of this tactic. All of the top positions are for Verizon — nicely done! By contrast, the screen shot below provides an example of ADT getting taken advantage of by not using this tactic. Positions 2, 3 and 4 are occupied by competitors. 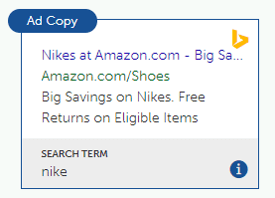 If the cumulative CTR for ads on this keyword is 6 percent, then assuming the off-brand competitors are able to snag 2-3 percent CTR as a group, ADT has lost ~50 percent of its potential clicks. Given that SimpliSafe has a better offer at $15/month versus ADT’s offer of $9/week, the click loss might be higher than this. To extend your reach, consider granting your trusted affiliates with direct linking rights to brand bid on brands that you sell. 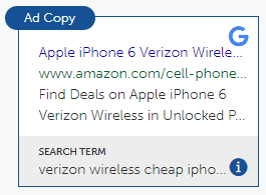 Direct linking involves an affiliate using your display URL in the ad (so that the ad looks like yours), and then driving the clicks through an affiliate link as the destination URL, then directly to your website. This tactic extends your paid search reach without extending your paid search budget. Your affiliates take on the risk and the budget, while driving traffic, branding and attention to your own website. 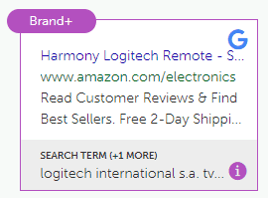 If the keyword lists overlap with your SEM team’s list, direct linking will cause tremendous channel conflict between the affiliate and paid search teams. Ad copy and messaging need to be carefully monitored to ensure that the messaging is on-brand. If the affiliate direct links on your own brand name, you have defeated the very purpose of this tactic; you should never allow affiliates to direct link on your own brand name. If you are going to deploy either of the above tactics, be sure to do your homework so that all goes well and you can sleep easily at night. Define your search policy. Your affiliate agreement must describe exactly what is and is not allowed, including keyword bidding, messaging and direct linking. Is your affiliate monitoring its own activities? A huge credibility win is when your affiliate uses a compliance monitoring utility to police itself. Is your affiliate risky to other merchants? Try to gain insight into the brand bidding behavior that the affiliate poses towards other merchants. Monitor for compliance and report often. For this plan to work, all of your affiliates must comply with your rules. Carefully monitor search results pages, automate reports, get alerts and fire off complaints if affiliates are not following your rules. How will you know if this strategy is working? Your traffic increases from the paid search channel. 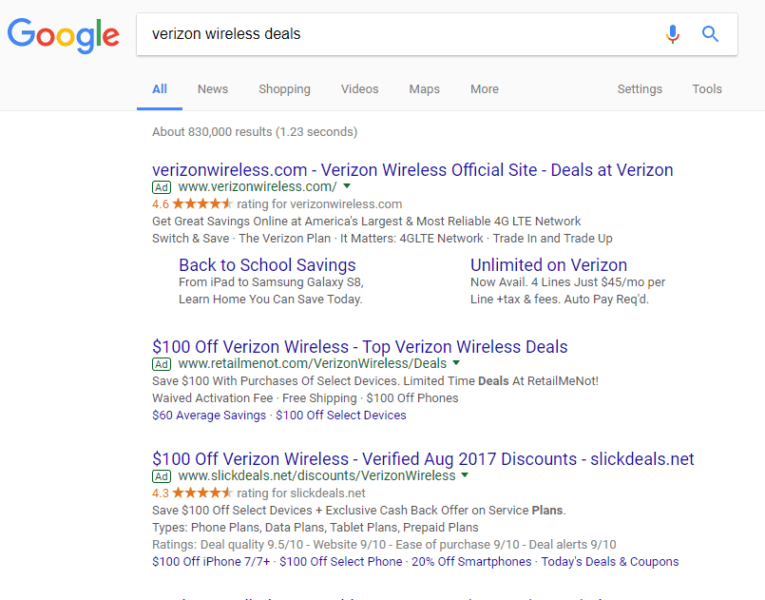 Your reach increases — your ads appear on more search results. You see fewer competitors on your brand terms. Your CPC (cost per click) decreases — our clients expect to see a 50-60 percent decrease in CPCs. Your CTR increases — our clients have seen 30-40 percent increases in clicks.